This article presents an analysis of the role that the idea of fraternity plays in John Rawls’s A Theory of Justice. Many commentators, G.A. Cohen for example, have taken as their target the role of fraternity in understanding the difference principle. 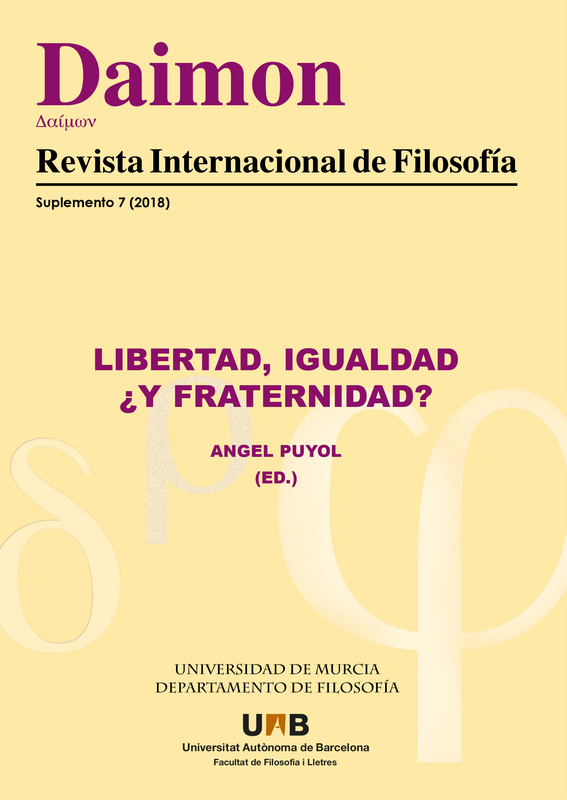 (‘A further merit of the difference principle is that it provides an interpretation of the principle of fraternity.’) The article highlights the neglected connection between Rawls’s principle of fraternity and the role of sentiments in A Theory of Justice. I focus, in particular, on the third part of A Theory of Justice, which has received less attention in the secondary literature. The main idea put forward is that, contrary to what his egalitarian critics contend, the Rawlsian conception of fraternity constitutes the most plausible version of this political ideal: one which is properly egalitarian. Rawls, J. (1999) ‘Social Unity and Primary Goods’, Collected Papers, ed. Samuel Freeman, Cambridge Mass. : Harvard University Press, pp. 369-370.